Foot Locker, the mostly mall-bound retailer of mass market sneakers, has invested $100 million in the sneaker marketplace and retailer of primarily rare and exclusive high-end athletic and lifestyle shoes, GOAT Group. The companies said that the investment would eventually lead to Foot Locker and Goat Group combining their efforts across their digital and physical retail platforms. GOAT said in a statement that the company would use the investment to accelerate its global operations and expand its omnichannel experience and its technologies. In an interview, the GOAT co-founder and chief product officer declined to disclose the company’s valuation, its revenues, how sales break down across geographic regions or how it will work with Foot Locker going forward. In 2018, several top sellers on GOAT sold more than $10 million worth of sneakers, up from $2 million in 2017, according to the company. GOAT Group now counts more than 600 employees, up from 200 a year ago, with 12 million users currently active on the platform. That figure is up massively from last year, when 2.5 million folks were on the platform. Over the same period, GOAT boosted its sneaker listings to 750,000 from 200,000, and now has 150,000 vendors selling to more than 12 million customers. With growth like that, it’s no wonder Foot Locker wants a sip of that GOAT stew. One savvy online observer commented that the deal was the equivalent of Blockbuster investing in Netflix back when that now-defunct video rental service was still in its waning days, before it became obsolete. #1. Foot Locker is still around? 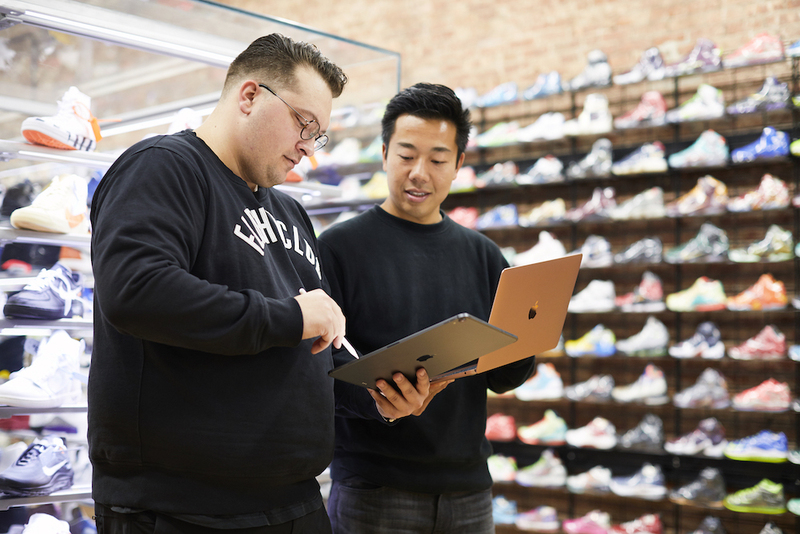 Last year, GOAT raised $60 million as it announced its largest strategic move to date — acquiring the physical retailer Flight Club to begin pushing into real-world in-store experiences. Scott Martin is joining the GOAT Group’s board of directors and extends Foot Locker’s investments in startup companies and brands, which already included the women’s luxury activewear brand Carbon38; tactical play and children’s lifestyle brand Super Heroic; and footwear design academy PENSOLE. GOAT has raised $197.6 million since it was launched it 2015. The company competes with other vendors like Stock X.